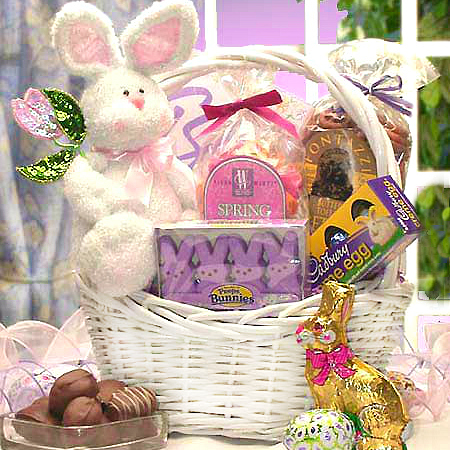 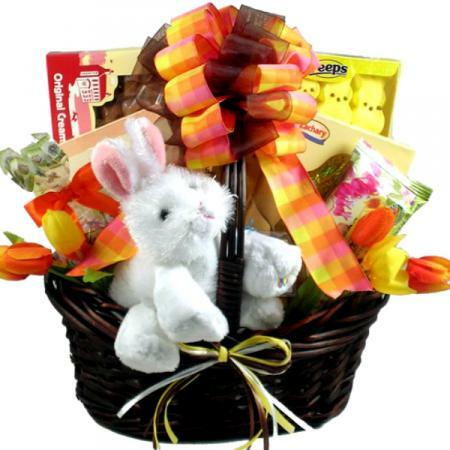 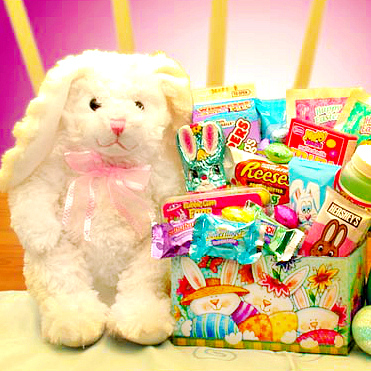 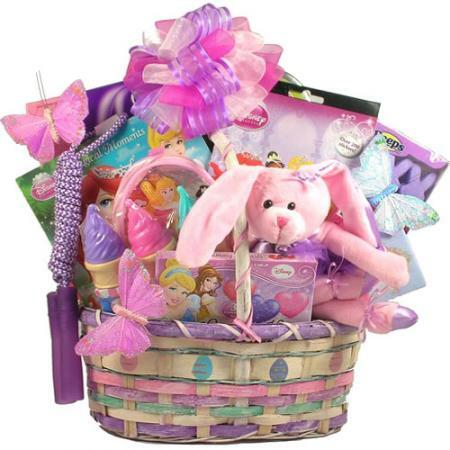 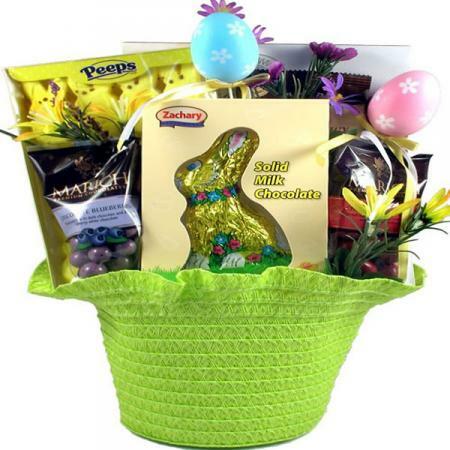 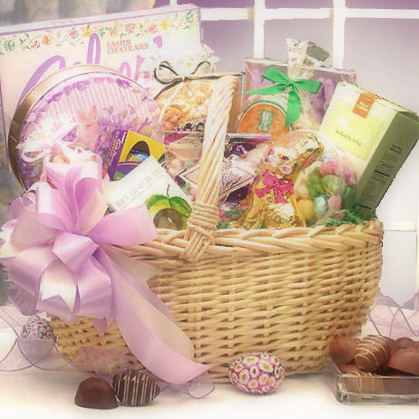 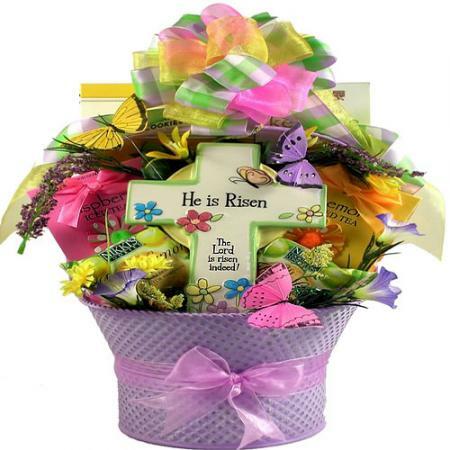 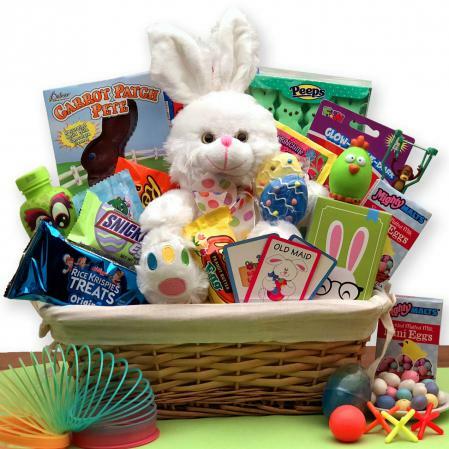 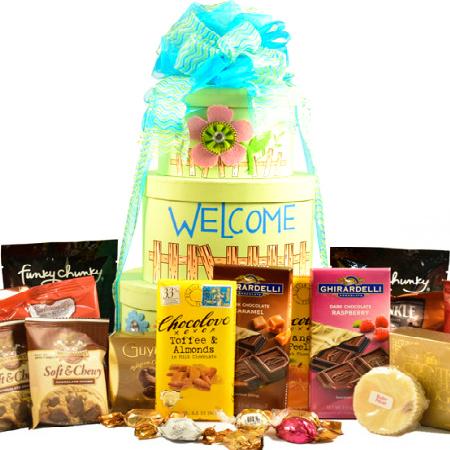 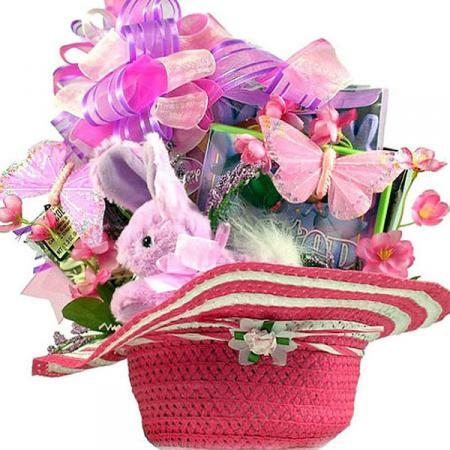 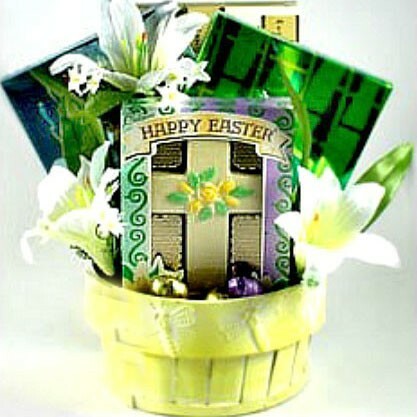 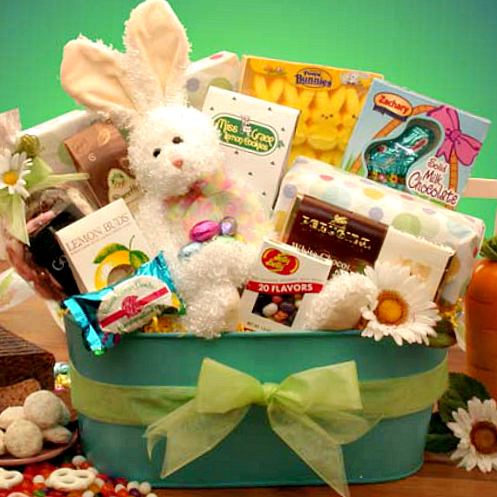 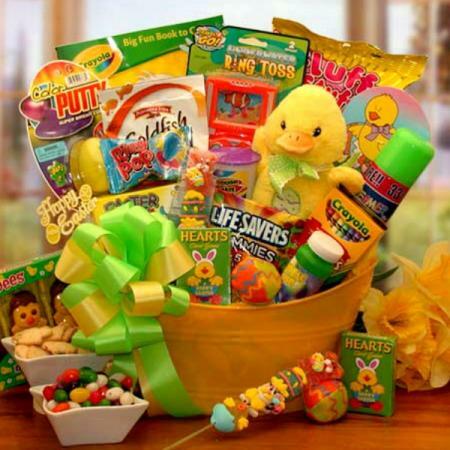 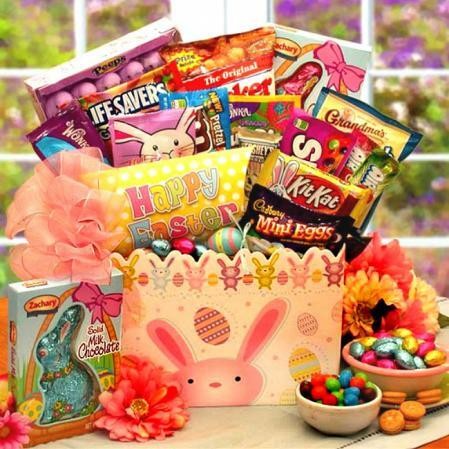 Send this irresistible surprise that will have them hopping for joy on Easter morning! 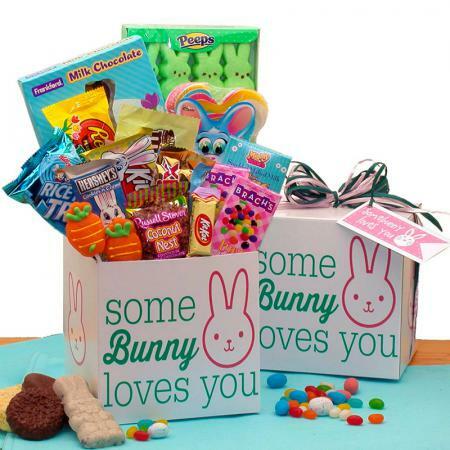 The adorable Easter bunny will steal their hearts! 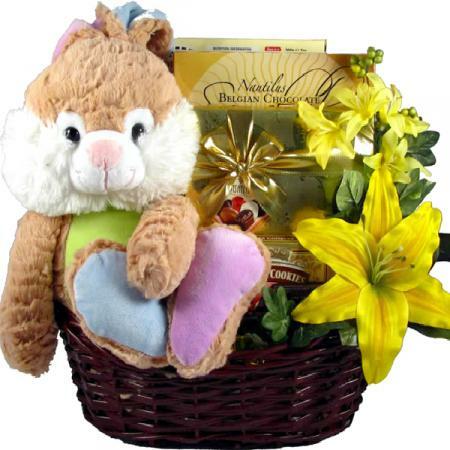 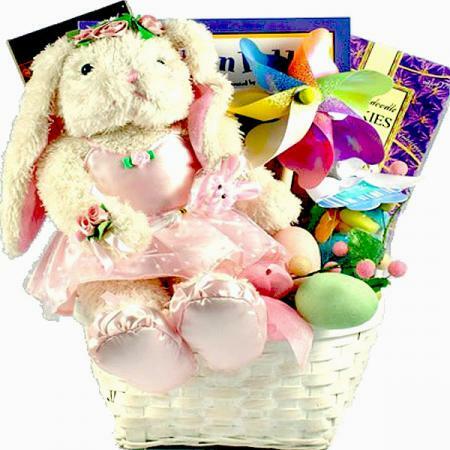 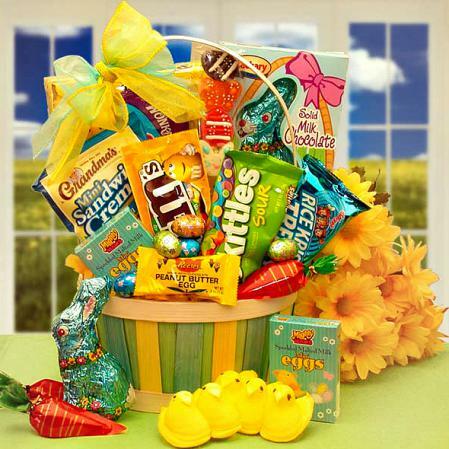 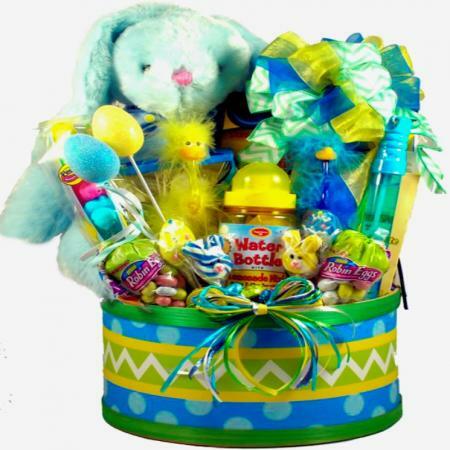 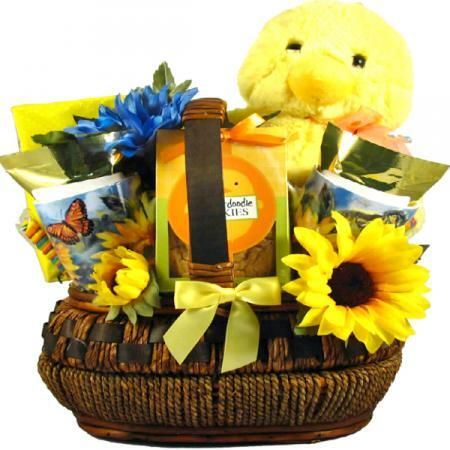 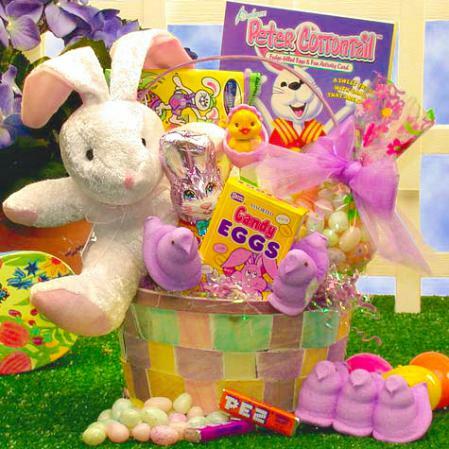 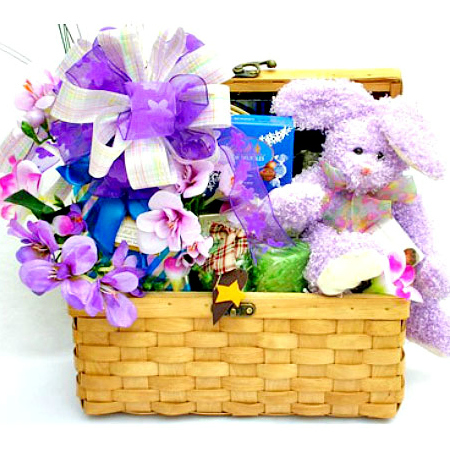 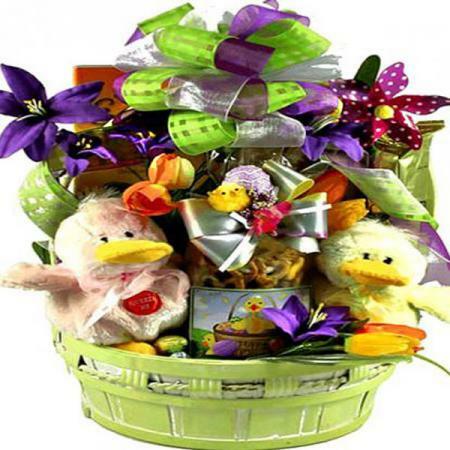 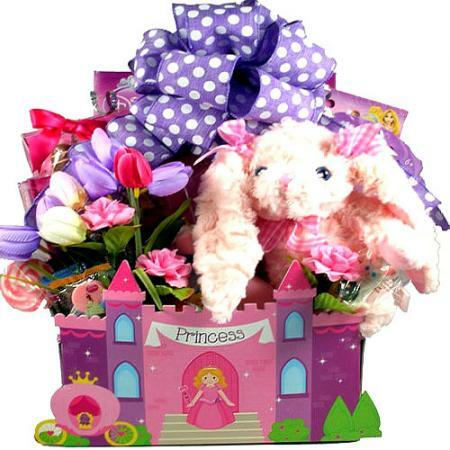 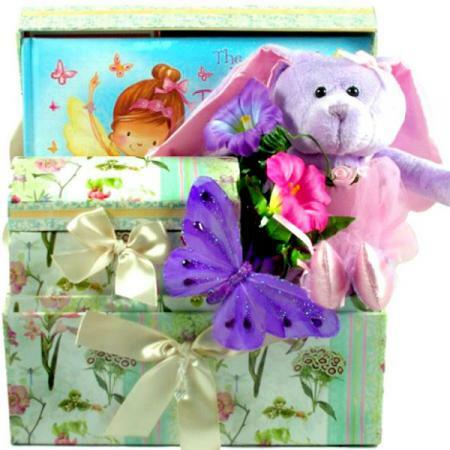 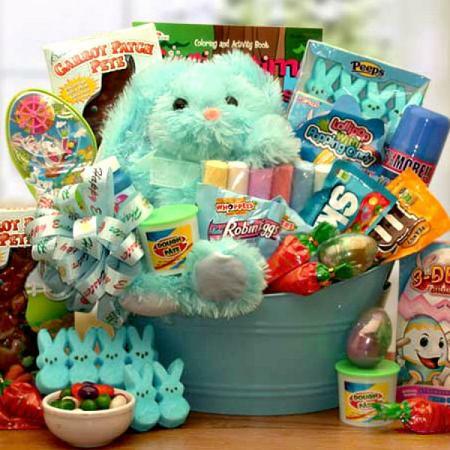 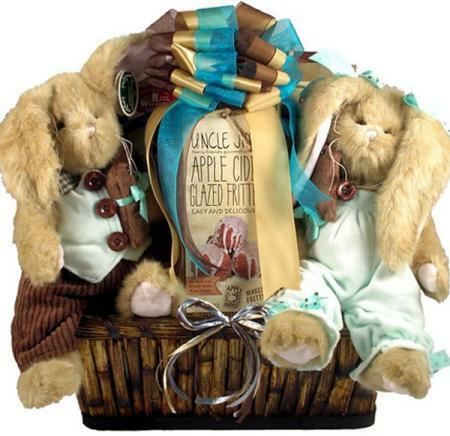 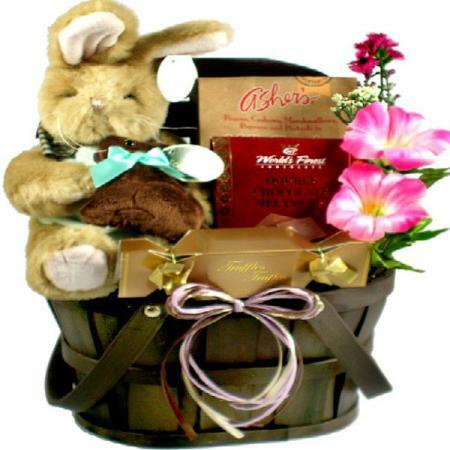 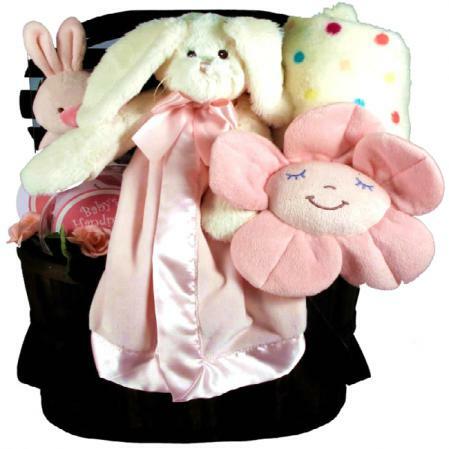 Spring planter full of Easter treats including cake, chocolate, cookies, pretzels, a 12-inch plush Easter bunny and more. 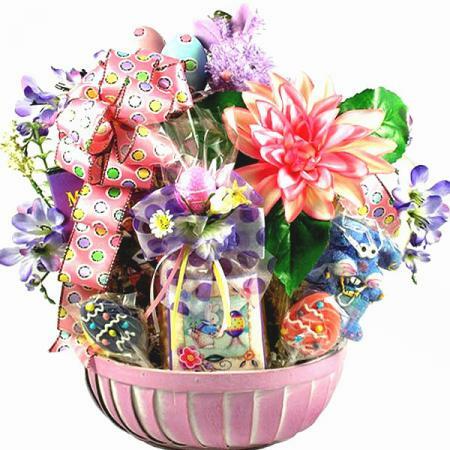 The pretty Spring planter is ideal for bulbs when the treats are gone.